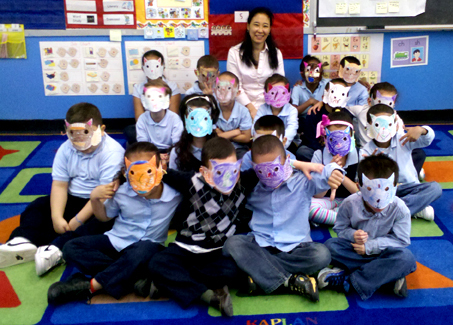 Today was my last class visit at P.S. 142. As a tradition, I always bring a treat for the kids on the last day. This time, I made chocolate chip cookies because I figured: Who doesn’t like chocolate chip cookies!? Alas, there were a few non-chocolate eaters, but the cookies were devoured by the the rest of the students. I guess you can’t please everyone! 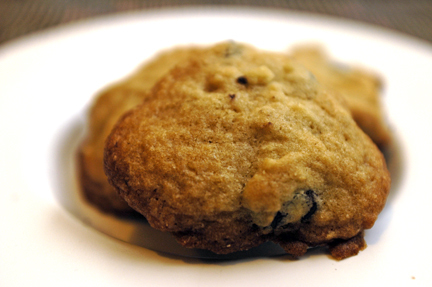 These chocolate chip cookies are really delicious and more importantly, EASY, to make. I was happy to give them away because it makes a huge batch (I made about 4 1/2 dozen) but we three could have easily eaten them all — they are that tasty. 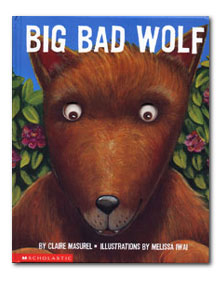 For my class visit, I read an old favorite — Big Bad Wolf by Clare Masurel which I illustrated many years ago. 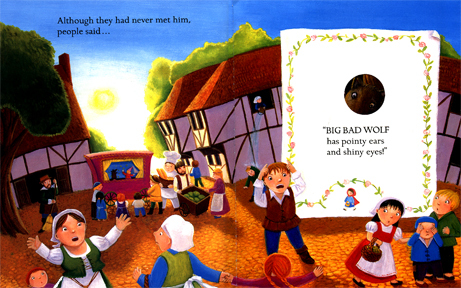 The hole on this page shows the wolf's pointy ears and shiny eyes, and when you turn the page, you see him in his entirety, serenely having a picnic by a lake. Since the book’s cover is similar to a mask (the wolf’s eyes are holes which reveal the eyes of two frightened children when you open the book), I did a wolf mask project using paper plates with the children during my visit. 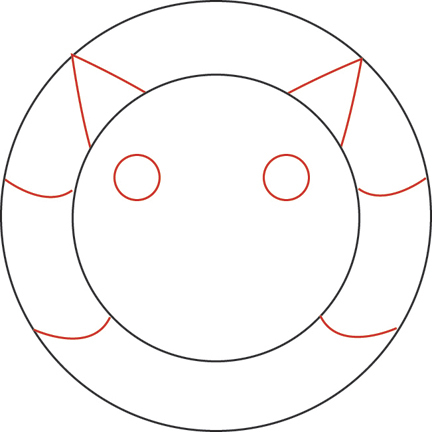 Using the pattern as a guide, you can draw the red lines on the paper plates. Cut out holes for eyes. Then cut out the ears and the side face fur. Punch a hole using a hole puncher on each side and tie a piece of string or yarn in each hole. Decorate the mask any way you like! Of course, you could have fun doing various different animal faces using a similar template. Here I am with a pack of little wolves! 1. Preheat oven to 350 degrees. Line two baking sheets with Silpat or parchment paper. Set aside. 2. Measure flour and baking soda in a bowl, stir with a whisk and set aside. 3. Cream butter and sugars in the bowl of a mixer with paddle attachment for two minutes until light and fluffy. On low speed, add one egg at a time, mixing to incorporate. Add salt and vanilla. Stir in chocolate chips by hand. 4. Drop heaping tablespoonfuls of dough onto parchment, spacing about two inches between cookies. Bake for about 10 minutes, rotating sheets and alternating them on racks in oven halfway through. Cool for a couple of minutes on baking sheets on cooling racks. Then remove cookies onto racks to cool. Update: Snuggle Mountain now available for iphone for $1.99!